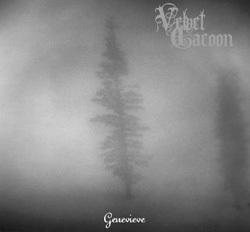 Velvet Cacoon is an ambient black metal band from Portland, Oregon. For a long time this band was shrouded in a veil of mysticism where stories of unreleased material, eco-fascistic activism, and other bizarre rumours were originated mostly from the band themselves, and propagated by a willing Internet black metal community. Even though most of the mysticism behind Velvet Cacoon was recently revealed to be mostly hoaxes and untruths in an interview with the Italian 'zine Elskrin, Velvet Cacoon should not be considered a joke band. So far, one full length album, Genevieve, and one compilation of demos, Northsuite, have seen a proper release. Following the release of Genevieve, rumours of demos and EPs appeared, bearing the Velvet Cacoon name. These were very different in style to Genevieve (shoegaze/rock) and was later proven to be stolen from other artists. Whether simple fascination with instigating of the Internet metal underground or more malicious reasons spurred these fake releases remains untold. The band's highly monotonous and hypnotic sound as heard on Genevieve is achieved in part by a very prominent use of synths and filters for manipulating and adding massive reverb and echo to the electric guitars, along with drum machines and artificially distorted vocals. Any rumoured exotic home made instruments, such as the fabled "diesel harp", are hoaxes. 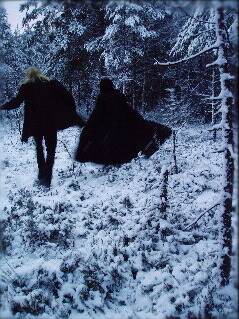 Genevieve and Northsuite were released on vinyl in August 2007 by Southern Lord and Full Moon Productions. The new album called "P aa opal Poere Pr.33" will be released by Full Moon Productions within the next couple of weeks. Heidi Ainsworth - Piano on "Laudanum."